After over ten years of experience in the luxury home market, Jordan Tetreau recognized a need in Calgary: stylish spaces that were not only better for their occupants, but better for the earth. And so became MINT Projects. MINT is among Calgary’s first commercial general contractors focused on enhancing wellness with unique environmentally sustainable solutions. At MINT, we practice mindful craftsmanship. We believe that every successful project is a result of collaborative design, careful planning, conscientious construction, and safe work practices. Each MINT space is tailored to every client’s unique vision by our custom-assembled team of trusted experts, and through a transparent process of open communication. MINT adheres to environmentally responsible construction practices, while incorporating healthier building materials, and taking advantage of innovative technologies. Our focus on occupant well-being is based around EQ environmental quality which encompasses indoor air quality, low emitting materials, thermal comfort, quality of light, and acoustic performance. Whether you’re looking to refresh your existing facilities with a health-boosting upgrade, or you want to design a clean new environment from scratch with minimal waste, MINT works to complement the defining characteristics of your real estate in a way that reflects your individual or corporate values. We consider it creativity with a conscience. I have been fascinated with the construction industry since I started building sawmills with my dad at age 14. This spark eventually became a lifelong passion that would shape my career. My path started out with a focus on risk assessment, working as a commercial insurance broker for construction contractors. However, once I explored my creative side, there was no turning back, as my focus shifted to doing marketing and sales for general contractors and community developers. 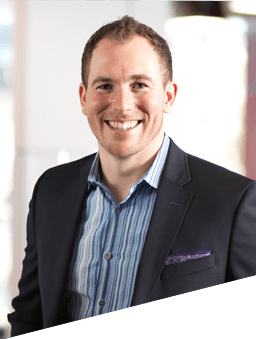 By the time I was the Director of Sales and Marketing for a high-end custom homebuilder, I was ready to take my love of real estate a step further, earning my Real Estate Development Certificate at the University of Calgary in 2014. I am a LEED® Accredited Professional with a specialty in Interior Design and Construction and one of the first construction professionals in Alberta to achieve a WELL AP designation from the International WELL Building Institute. I currently hold a position on the Programming Committee for the Urban Land Institute Alberta (ULI Alberta). I am also working towards a certificate in Construction Management at SAIT. Starting MINT Projects was the natural next step on my journey. As an innovator, I wanted to approach construction challenges creatively by developing unique, environmentally sustainable spaces that are well crafted for life well lived. Alex brings nearly 20 years of experience to MINT Projects as a Professional Quantity Surveyor and Principal at QSSI (Quantity Surveying Services International). Always up for a new challenge, Alex has been involved in a wide variety of projects including hospitals, schools, airports, residential, government, general commercial renovation, and new construction. Working with MINT, Alex ensures every client’s project stays on track with his expert cost estimating, financial reporting, contract & risk analysis, value engineering, and cost control. A 30+ year construction veteran, Jerzy delivers a vast scope of knowledge and skill to every MINT Project. His professional background ranges from residential construction and renovations to commercial and industrial construction management, working for companies such as Nova Chemical, Trans Alta, Shell, and NAV Canada. Jerzy’s expertise in numerous construction trades, trade practices, code regulations and Workplace Health and Safety procedures, make him a trusted collaborator and valuable asset to the MINT Projects team.